East Coast Swing is one of the most popular and versatile dances in the world! 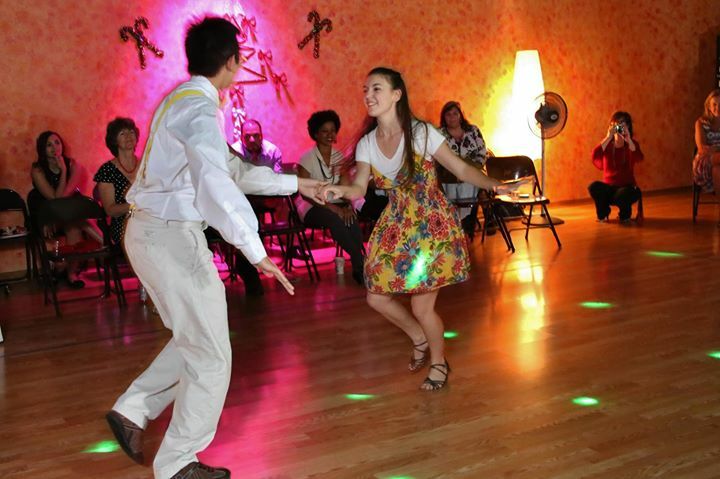 You will find opportunities to dance the Swing everywhere from country bars to oldies clubs, ballroom studios, and top 40 dance clubs! Young and old, the swing pulls from a universal crowd! Our beginner Swing Course will start from the ground up and show you footwork, timing, dance position, and the core basic steps you need! You’ll actually to be able to go out, grab a friend or date (or anyone!) and dance! Now that you’ve got your feet moving to the rockin’ swing beat, we’re gonna build on your skill and get you really moving! The intermediate course is the next step in your journey to becoming an amazing dancer! This course will go beyond the basics with fancy new moves that will improve your footwork, turns, timing, and styling! In Advanced you’ll become the dancer you’ve always wanted to be! You’ll increase your style and confidence as you get a slew of fancy new moves and continue to improve your technique! Take your dancing to another level, and feel comfortable and confident, no matter where you are or who your partner is!